CEDIT – Ceramiche d’Italia is the Florim brand which sums up the dialogue between art, design and Italianness. Internationally relaunched in April 2016, CEDIT still has a crafted feel and shapes ceramic matter in the service of creativity, allowing the great names of our time to express themselves to their full potential. Matrice by Barbara Brondi & Marco Rainò | BRH+ investigates the different surface effects of ceramics, exploring their perceptive qualities and tactile variants taking concrete as inspiration, for interpretation using fresh rules. 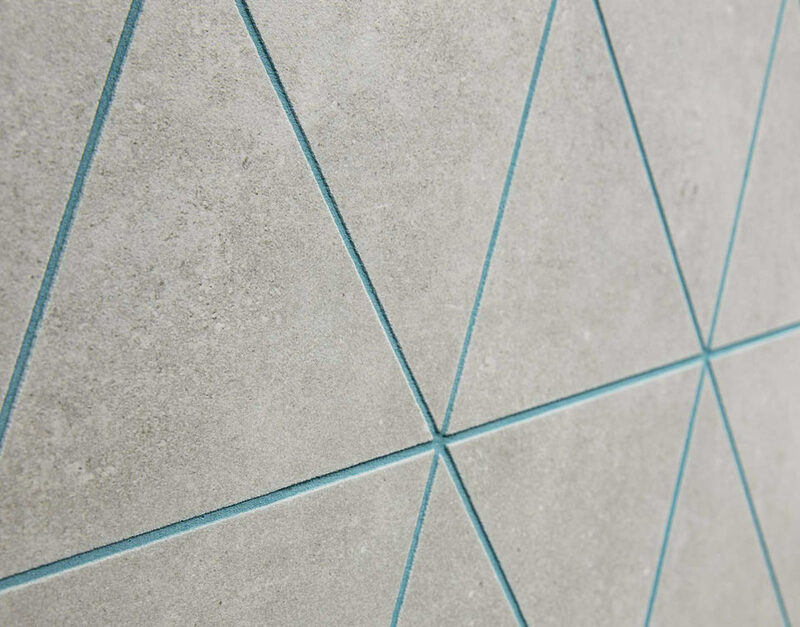 With different surfaces, finishes and modular sizes, Matrice builds a ceramic alphabet with spatial coordinates suitable for various types of use, with or without a network of linear incisions for filling by hand with brightly coloured grouts to generate an infinite variety of geometric patterns. Matrice by CEDIT - Ceramiche d'Italia: a collection exploring the consistency of concrete, with a wide spectrum of modular combinations of pieces and a network of linear incisions which can later be grouted in bright colours, with patterns derived from the Italian hand-embroidery tradition. In the Matrice collection, the Designers investigate the different effects which can be achieved with the surfaces of ceramic materials to build up a collection which takes concrete as inspiration and subject for interpretation in accordance with original codes.